Collection of Paul Walter, New York. Probably acquired by Walter in the UK. 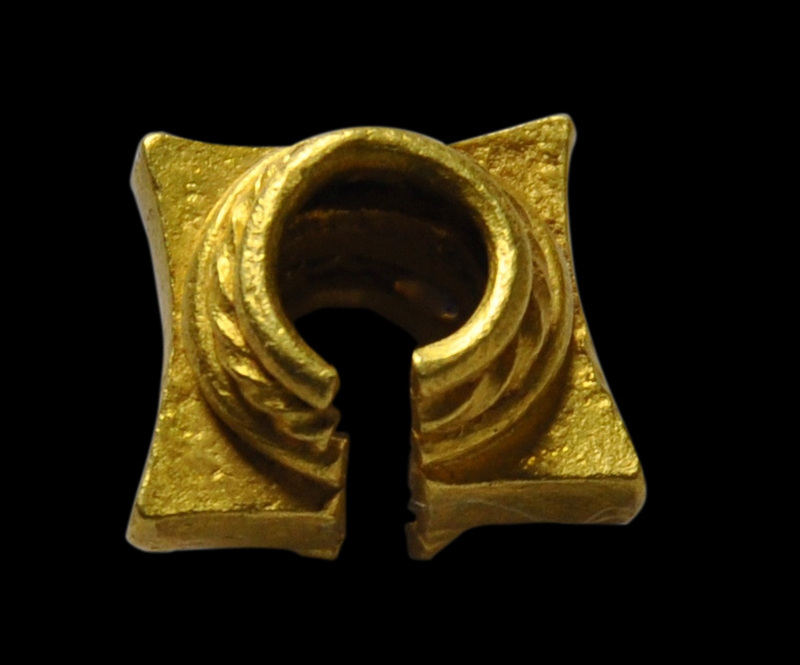 This cylindrical ornament with a square central flange is of cast solid gold. 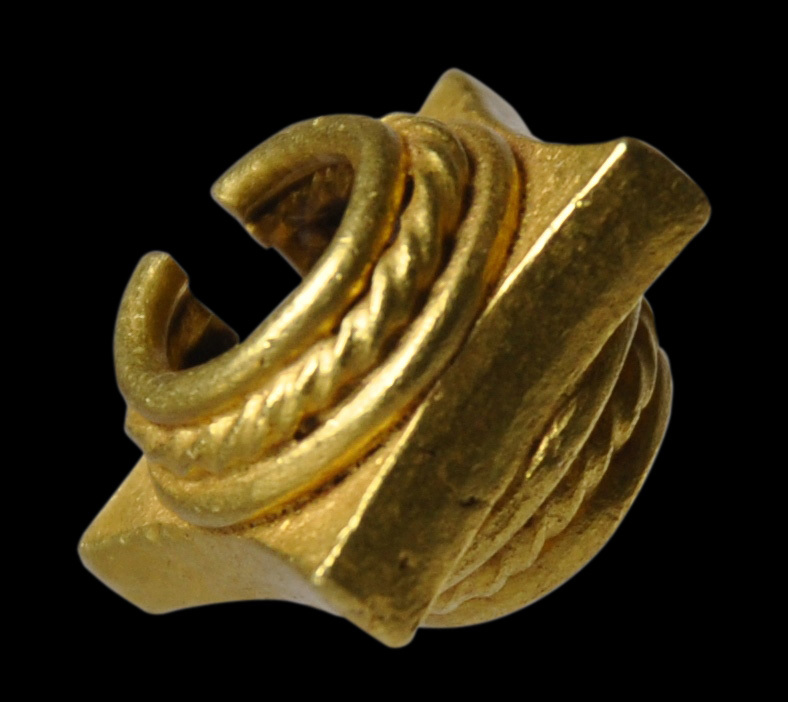 It is heavy in the hand and if not an ear ornament most likely was intended to serve as a weight for a waist cord – perhaps a Hindu caste cord. It comprises three tiers of ribs or coils on either side (the central coil with a rope-twist design), plus a thick square section that protrudes from around the middle. There is a side slit. Related examples are illustrated in Miksic (1990. p. 75). 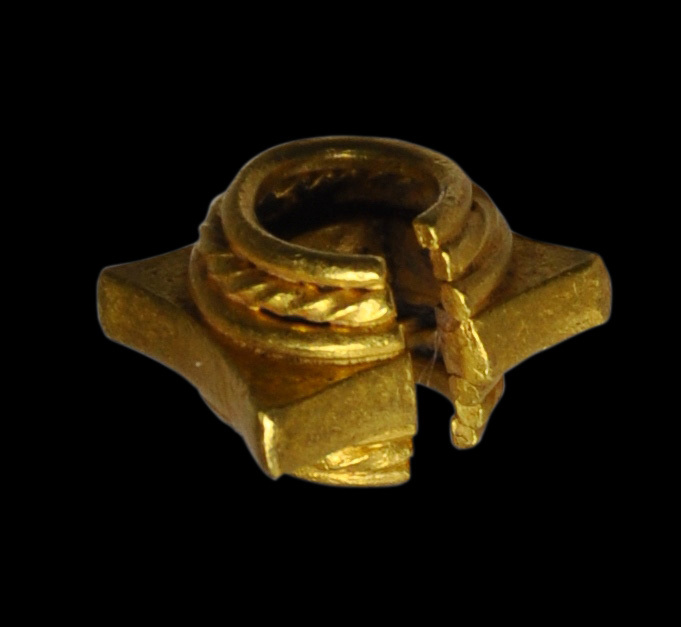 Miksic suggests that such items might also has served as ‘rod finials’ perhaps for rods that served some sort of ritual purpose. 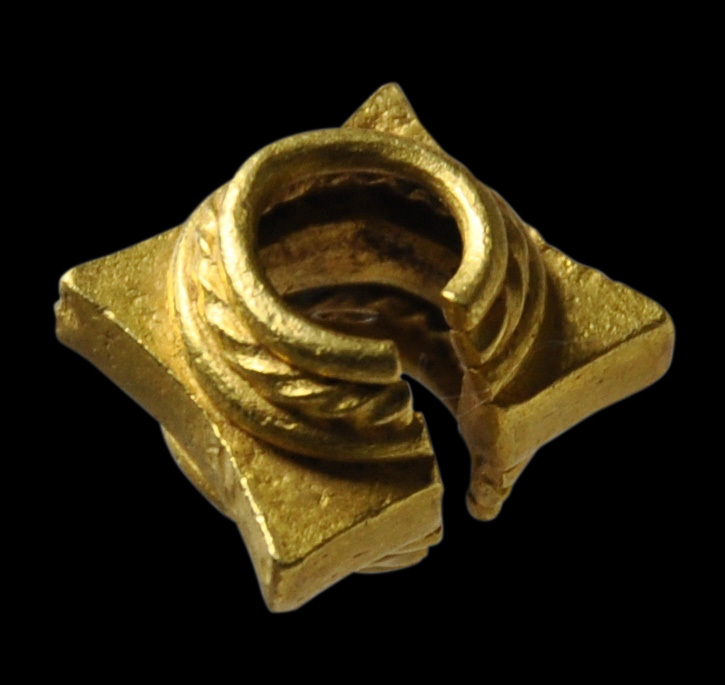 Large quantities of gold jewellery and other items have been found in central and East and Central Java dating from this period. It was a time when Buddhism and Hinduism seem to have peacefully co-existed at the same time. Both men and women wore ear ornaments at the time. This item is in fine condition and has obvious age. Tiny traces of soil are evidence that the ornament was at some time buried. 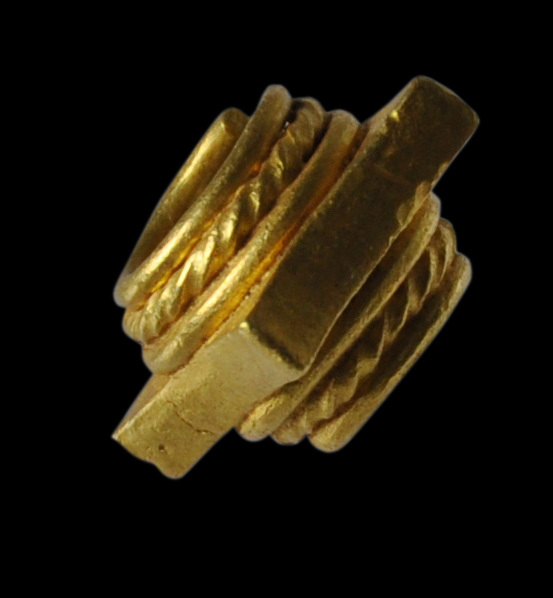 Bremer, S., Goud der Goden: Uitt het oude Java, Wereldmuseum Rotterdam Publishers, 2014.